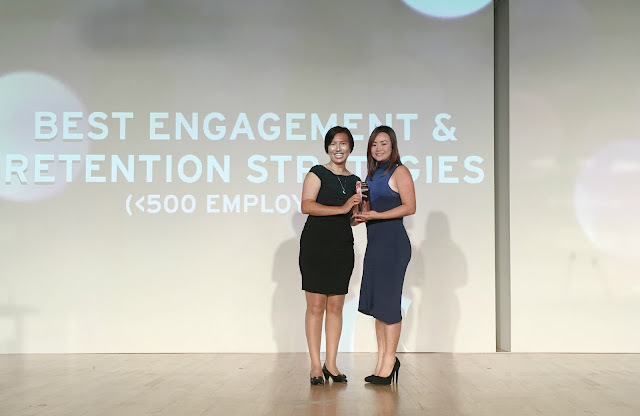 Royal Plaza on Scotts (RP) was awarded Best Engagement & Retention Strategies (<500 employees) at the HRM Awards 2016. This award recognises the hotel’s outstanding achievements as an employer in promoting staff engagement within the organisation, resulting in increased productivity and higher retention rates. Engagement sessions are held frequently between talents and the management team, including the General Manager and Chief Experience Officer, Mr Patrick Fiat, whom the talents address on a first-name basis. These platforms facilitate communication amongst the organisation as talents are able to provide feedback on concerns and improvements seamlessly. People’s Engagement Forums are also held quarterly, where Patrick shares the direction and updates of the organisation, as well as personal achievements and milestones of talents such as graduations, marriages and birth of new-borns. The programme also shines light on individuals who have made a difference in creating refreshing guest experiences and encourages talents to constantly go the extra mile to ‘wow’ guests. The hotel keeps engagement active and constant with Weekly Delights, where surprises such as sweet treats and healthy snacks are hand-delivered to offices and back of house to perk up the talents’ day. Mini-competitions for festive decorations and bonding activities are held across departments to create excitement and memorable moments for talents. The pictures are shared on RP’s Human Resources Facebook page, www.facebook.com/royalplazahr, where the talents’ friends and families can share their joy at work. The hotel created the Chillax Lounge for the talents to unwind in, knowing that the talents’ jobs require them to be on their feet for an extended period of time. The lounge comes with massage chairs, mini-theatre, reading corner and a live aquarium, designed to suit the needs of talents who are looking to rest and re-energise after a day at work. Talents also have access to an exclusive fully-equipped gymnasium that is open round the clock.